Armin van Buuren and Alesso will be bringing their energetic performances to Echostage in Washington, DC this Memorial Day Weekend. Armin van Buuren made recent career history in his sellout performances at the Amsterdam Arena for the “Armin Only” shows earlier this month. Alesso hasn’t been shy to the scene either, appearing on a variety of major festival lineups and releasing high-profile remixes. Armin will appear at Echostage on May 26, while Alesso will touch down at the venue on May 28. 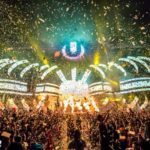 Dancing Astronaut has partnered with the event to provide an unforgettable weekend for one fortuitous fan. The winner of the giveaway will receive four tickets to see Armin van Buuren on May 26 and four tickets to see Alesso onMay 28, with a $300 bar tab provided for each night, and additional Echostage merchandise.